Fintech, the latest buzzword in the peer-to-peer lending sector, has carved a niche for itself in a short span of time. As banks tighten their seat belts for the new-age disruption, they are showing strong affinity towards collaboration with the marketplace lenders to secure their customer proposition. The 2008 global financial crisis brought the peer-to-peer (P2P) lending sector in the limelight. The global banking system became over-leveraged and was exposed to bad debt, which compelled regulators to raise capital requirements, thereby forcing banks to scale back on the riskier consumer and small business lending. To serve this segment, several tech-driven platforms emerged, which utilised big data and advanced analytics to connect borrowers with lenders. Compared to traditional banks, P2P players enjoy lower operating costs, minimal regulatory constraints and offer better services, leading to rapid growth in the sector (Figure 1). With about 2,000 fintechs existing globally, the banking industry can now either compete with disrupters, or strategically collaborate with them to boost their bottom lines. Offering a compelling proposition of a higher rate of return on savings and lower rates on lending, P2P lending has taken the financial industry by storm and captured the attention of willing borrowers globally. In 2005, with the launch of Zopa in the UK, the P2P concept made its global debut. Replicating this business model, companies such as Lending Club, Funding Circle, Ratesetter, Prosper, Lendico and Avant entered the market, offering lucrative alternative funding options. 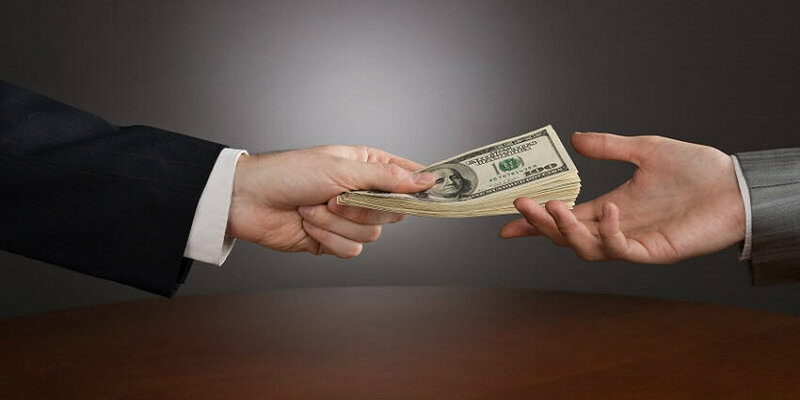 As P2P lending platforms gain mainstream attention, banks have begun to take notice. However, the legacy systems and stringent regulations prevent banks from entering directly in the P2P lending space. The legacy infrastructure of banks in most cases is not designed to offer open interfaces. Partnering with a P2P player will provide banks an opportunity to cater to a previously under-served segment at low cost. This will strengthen the balance sheet and improve the bottom line for banks. In this scenario, collaboration or acquisition of P2P platforms seems to be a viable option for banks. Being at crossroads with the banking industry, the P2P lenders have come to acknowledge the fact that they also stand to benefit from this collaboration. It is particularly the major markets (US and China) who would be the beneficiary of this collaboration as the regulators there have begun to recognise the growing risk of the P2P model. Besides regulatory changes, collaborating with banks provides these tech-platforms access to a wide customer base and the banks’ risk management capabilities. The partnership between banks and P2P lenders is also driven in part by government legislations. For instance, in the UK, banks must refer any borrower they turn down to an “alternative lender”. For example, under the Santander and Funding Circle partnership, Santander will refer to Funding Circle the SME borrowers who do not meet Santander’s lending criteria. In the US, Lending Club entered a $150 million tie-up with Citigroup to cater to “underserved borrowers” according to the obligations of the “Community Reinvestment Act” in the US. With about 1,500 P2P lending platforms operating both online and offline, China’s P2P market is the largest in the world. The major driver is robust demand for easier access to credit and low desire for traditional banking products. Moreover, a sound regulatory environment has aided the growth of these platforms. Since many of these platforms are outside the central bank’s purview, fraud rates are high, along with interest rates, which are normally in the 12–18% range. 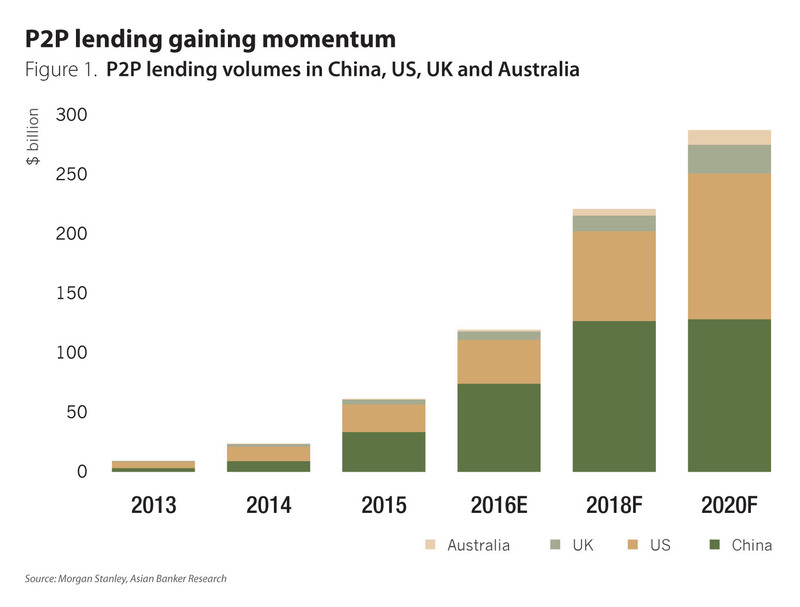 With a market size of $23.2 billion, the US follows China in P2P lending space, with loan origination doubling every year since 2010 (Figure 2). Ever since the financial crisis in the country, online lending platforms have emerged and are working to achieve better access to credit at a lower interest rate and enhanced customer satisfaction in traditional banking services. The UK is one of the most promising regions for marketplace lending in Europe. Strong demand from retail and institutional investors, a move towards collaborative approach with banks and favourable government regulations are driving P2P lending in the UK (Figure 3). For instance, in April 2016, the UK government launched Innovative Financial Savings Account (IFSA), which, according to Business Insider Intelligence, allows UK consumers to invest up to $1,848.8 (£15,000) in alternative finance platforms (including P2P) and get tax free returns. In Australia, the P2P lending space is still in early stages of development. However, Morgan Stanley forecasts that a rise in the level of digitalisation (boost in mobile and internet banking) would drive the P2P lending market to reach $12.3 billion mark by 2020. In light of the evolving lending space, banks have three options – build, buy or partner. Most banks are collaborating with P2P players to gain entry into the sector. Banks and P2P platforms mainly collaborate through the above-mentioned approaches. In some countries only banks are allowed to originate loans. This forces P2P lenders to partner with banks to avoid regulatory and legal hurdles, for example, Lending Club and Prosper’s partnership with WebBank in the US. WebBank, a Utah-based industrial bank, issues a loan after a customer approaches an online lending platform. The bank backs these loans for a brief period until an investor on the P2P platform buys it. In such a case, the bank earns interest on the loan amount for the holding period and a fee from the platform. This form of partnership is common in Germany, a country which has forced P2P lenders to partner with banks. For instance, Auxmoney has partnered with SWK Bank, Lendico and Zencap with Wirecard Bank, and Smava and Finmar with Fidor Bank. Increasing number of banks are collaborating with P2P lenders to better serve and target customers. For example, in 2016, Santander UK partnered with US-based online lending platform Kabbage to accelerate automated lending for small businesses, allowing borrowers to draw credit in one day. The partnership allowed Kabbage to enter into the UK market. Earlier, Kabbage partnered with banks such as ING to extend credit to ING customers in Spain and a similar partnership with Scotiabank in Mexico and Canada. A similar partnership was formed between JP Morgan Chase and On Deck Capital to ramp up the process of extending loans to small businesses. Banks are increasingly partnering with P2P players to cater to underserved customers. For instance, Santander UK signed an agreement to refer unserved SME clients to Funding Circle. Royal Bank of Scotland has a similar referral partnership for SME loans with two P2P lenders – Funding Circle and Assetz Capital. In Singapore, DBS Bank has signed a cross-referral agreement with P2P lending platforms, Funding Societies and Moolah Sense, so as to refer SME customers whom the bank is unable to lend. In return, the P2P platforms will refer borrowers to DBS for large commercial loans and other financial services such as cash management. Banks are extending beyond the cross-referral agreement with P2P players and investing directly in these online lending platforms. For example, in 2016, Metro Bank became the first UK bank to lend directly through a P2P lender – Zopa. This allowed Metro Bank to better mobilise its deposits and earn an interest rate. The move allowed Metro Bank to expand beyond the UK. In 2015, government-owned British Business Bank also announced its partnership with P2P lender RateSetter through which the bank will lend to SME businesses in the UK. In the US, Union Bank signed an agreement with Lending Club under which the bank will purchase personal loans through the Lending Club platform; the two companies will also work together to create new credit products. Small banks get the maximum benefit by collaborating with P2P lenders. Such partnerships help small banks to expand their reach, diversify their products and leverage the lower operating cost of these P2P platforms. In 2015, Lending Club partnered with BancAlliance, a national consortium of 200 community banks in the US, to offer co-branded personal loans to customers of community banks. As part of the agreement, community banks are also allowed to purchase some of these consumer loans to diversify their loan portfolio. Utilising their online platforms, marketplace or P2P lenders often offer loans at lower rates than banks, providing investors an opportunity to earn significantly high returns from their investments. The higher yields offered on these P2P loans have attracted asset managers, hedge funds and banks that buy or bundle these P2P loans into bonds that can be sold to investors. Such a collaboration benefits both the banks and P2P platforms. While banks gain access to a new revenue source, the P2P players can diversify their funding away from unpredictable individual investors. Marketplace lending securitisation has grown at a fast pace. According to PeerIQ, in the third quarter of 2016, about nine deals were finalised totalling $2.4 billion, a 41.1% increase from the previous quarter. 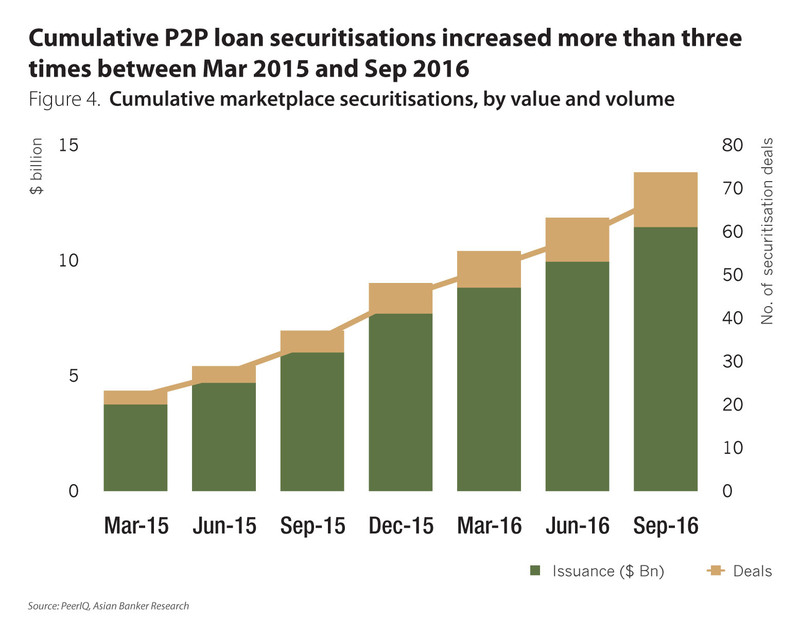 Total cumulative value of marketplace securitisation stood at $12.7 billion in September 2016 (Figure 4). Several banks have participated in loan securitization for these P2P players. For instance, in third quarter of 2016, Goldman Sachs partnered with P2P lenders SoFi, Marlette and Earnest, for loan securitisation. Similarly, JP Morgan has a broader institutional partnership with Avant, OnDeck and Prosper and has participated in P2P loan securitisation of these companies. Collaboration with P2P lenders comes with its own share of challenges. Initially when these platforms entered the market, the structure of regulation was very informal, as market’s response was awaited. According to Jayme Fagas, global head of valuations and transparency at Thomson Reuters, pointed out, “A critical issue for investors is that marketplace lending platforms and their service providers are not regulated by government or insured by government agencies.” With the rapid growth of the P2P lending sector, regulators have increased their scrutiny over the sector. Regulators in countries such as the US and China are tightening regulations for online P2P platforms. This is majorly due to the risk they pose to the financial sector in the country. In 2016, Lending Club, the biggest online P2P lending platform, came under fire after glitches were found in its lending practices, leading to the ouster of its CEO. Prosper, the second-largest P2P platform in the US, also drew considerable negative attention on news that it furnished loans to the San Bernardino shooter. After the incident, Goldman Sachs and Jefferies stopped buying Lending Club loans. Moreover, in November 2015, the Federal Deposit Insurance Corp. issued a letter on ways to manage the risk of the loans purchased from third parties. Bankers will have to carefully scrutinise the P2P lending platform before investing so as to ensure that all relevant banking and consumer regulations are followed. With a fast evolving P2P/online marketplace lending, it is difficult to predict which collaboration model will be more successful. Although models such as WebBank have been quite successful in the past, increased regulatory oversight and concerns about WebBank are involved in the lending process which may have a negative impact on such a partnership. Partnering with fintechs to better serve customers seems to be a new trend, with many banks actively joining forces with fintechs for cross-reference of customers and accelerating their SME lending process. Fintechs have moved beyond the conventional credit scoring model to perform real-time assessment of the borrowers’ goodwill. This has increased the number of customers within the purview of these marketplace lenders who are eligible for securing loans. However, irrespective of the model, banks need to have an online lending strategy as customers are increasingly shifting online. Stating the need for adapting to the dynamic financial industry, Jamie Dimon, CEO of JP Morgan, said, “There is stuff we do not want to or cannot do, but now more than ever, there is someone else who can do it—and probably better. To capitalise on that, both sides need to collaborate”.